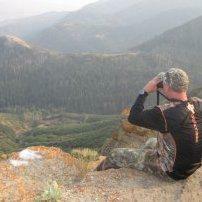 The northern zone has many opportunities on public land with some early scouting. They likely seek good food sources in early fall, I've found old orchards and choke cherry trees the main sources. Talk to some locals to see where they observe activity or have activity. What day is it today (other than trout season)? Handgun must be surrendered to law enforcement until they can be designated by the executor of the estate to any of the following: 1. place them on his/her permit if they have one or obtain a permit 2. transfer them from the law enforcement to a FFL licensed person/business via authorization from executor 3. authorize law enforcement to destroy them 4. executor may distribute them to a third party via a permit amendment and written documentation from executor Hope it helps..............in any event handguns MUST be turned over to lawenforcement and the county (issuing agency) of the deceased's permit needs to be notified. I use a Cabela's fanny pack with shoulder straps. It's roomy enough for the gear I carry and a light rain jacket, has straps on the outside so one could carry other clothing, and lots of packets... I like that I can slip it on and off while sitting and carries well on your back. Well now fellow "big woods" hunters, now that the tears from early December have ceased and the snow has hit hard in my area, how many of us have a severe case of cabin/big woods fever? All my gear is packed away, guns cleaned and know that camp is under the snow blanket deep, I'm ready for signs of spring. I've started my spring trout fly tying and wait... What are you guys doing to survive?